Engineering, CNC Machining, Waterjet Cutting, Welding, Fabrication by Perkins Engineering Co., Inc.
Perkins Engineering provides consulting in the area of machine design and mechanical engineering. Our staff includes a professional engineer licensed in the state of Wisconsin. 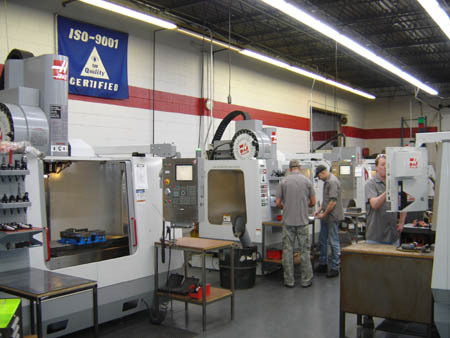 Services include stress analysis and design and detailing of machine and tooling assemblies. CAD system uses Cadkey software for solids modeling and visualization of machine systems. Failure alalysis and testing services are available to provided detailed information on components provided to us. Reverse engineering can be used to provide production detail drawings. A CMM (coordinate measuring machine) is used to determine feature dimensions and tolerances accurately. Copyright © Perkins Engineering Co., Inc.